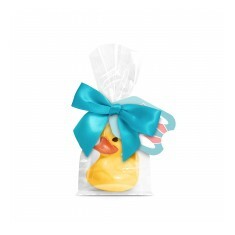 Celebrate Easter with plenty of chocolatey treats! 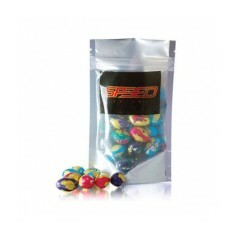 Our promotional Easter Sweets range has plenty of different chocolate eggs to choose from. 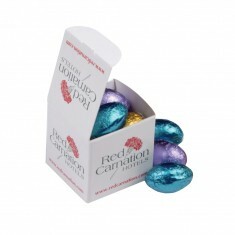 This carefully selected range is designed to help you maximise your personalised Easter promotions. 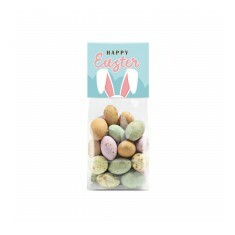 From branded carrot shaped bags to custom printed egg boxes stashed with chocolate, you’re sure to find some Easter related sweet to suit your promotion. Whether it is a quick, fun desk drop or a hand out for your next event, you are sure to find something to suit you brief. 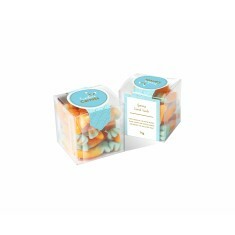 Plus, the chocolate is sure to go down a treat! 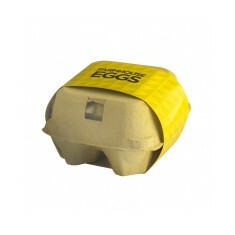 We can supply traditional style gift boxed eggs but we like to take a look at some of our more interesting products. 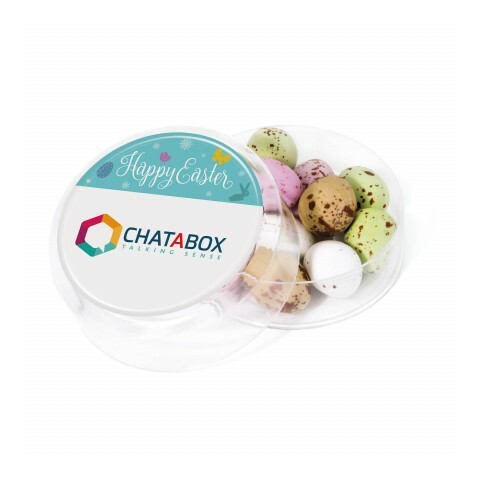 Our customised Chocolate Egg Box comes supplied with 4 hollow eggs that are wrapped in silver tin foil and your logo printed to the outer wrap of the carton. What better way to have Easter eggs than swap out the ones that are normally in the fridge! Looking for something even smaller? Our branded Speckled Chocolate Eggs in Maxi Round Pot are made from solid chocolate and coated with a sugar coating for that classic Mini Egg crunch. Plus, once all the eggs have been devoured, the pot still comes in use for organising your desk shrapnel. 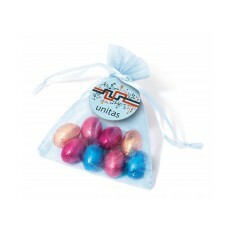 Curious as to what your Easter design would look like once branded? Give our sales team a call and they can draw up free of charge visuals for you. 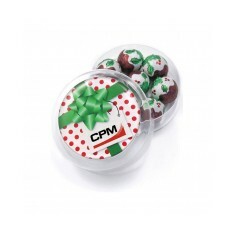 Give your clients a tasty treat with our custom printed Treat Size Pod Pouch. 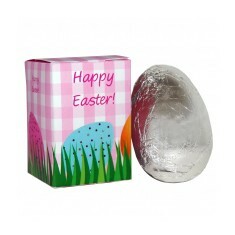 ..
4 hollow Belgian milk chocolate eggs. Silver foil. 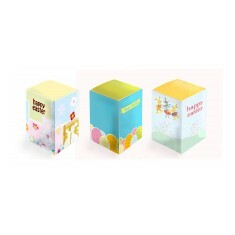 Natural card box with full colour card wrap. 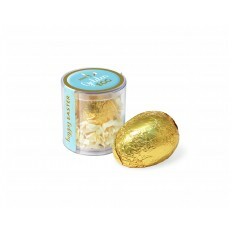 Milk chocolate egg wrapped in gold foil. Individually packaged. Branded to the lid. 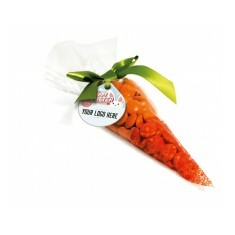 Orange flavoured, carrot shaped gummy sweets. Custom printed in full colour. 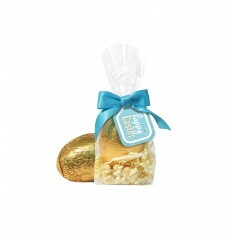 Milk chocolate egg wrapped in gold foil. Individually packaged. Branded to the label. Is it a duck or a chick? Who knows! 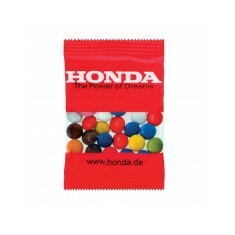 What we do know is that our custom printed..
Compostable plastic bag. Filled with tasty chocolate eggs. Branded in full colour.